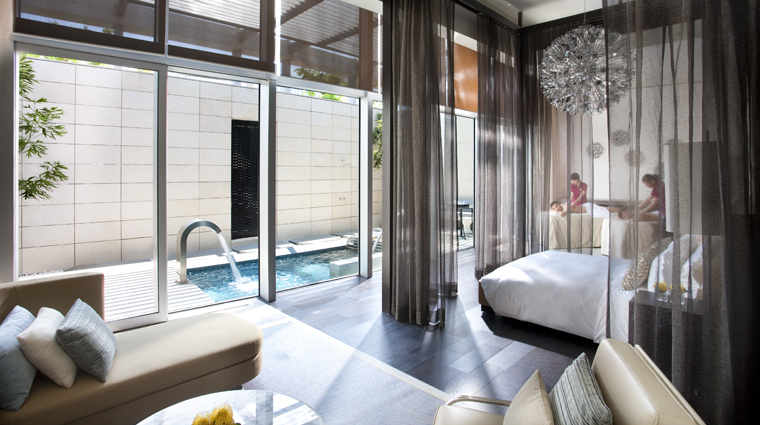 Grandeur is everywhere in the City of Dreams complex and Nüwa Spa Macau is no exception. The décor is beautifully dramatic and modern with large steel doors, curved walls and oil candles throughout. Try one of the signature treatments like the tui na massage, which uses strong kneading and rubbing motions to release blocked energy, or the Algotherm facial, a French technique that utilizes seaweed extracts to firm and smooth the skin. If you’re lucky, the esthetician may even offer you samples of the prized French cream as a thank you gift for visiting the Forbes Travel Guide Five-Star spa. A wide range of international beauty and health therapies are available in eight tranquil treatment rooms, including facials, body wraps, customized body massage, hydrotherapy, aromatherapy and detoxifying treatments. 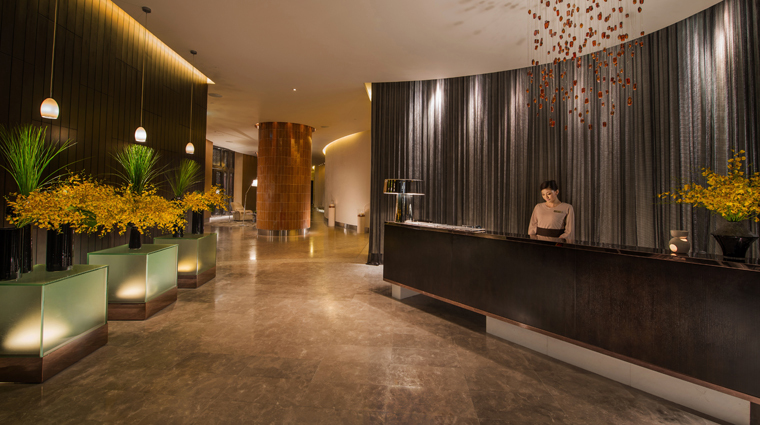 This Macau spa features luxurious amenities you’ll be hard-pressed to find anywhere else in the city. You’ll be itching to change into your robe, which is made of silk and comes in a soothing chocolate-colored, knee-length style. There’s a refreshment area here with water, apples and oranges, and you are welcome to help yourself. 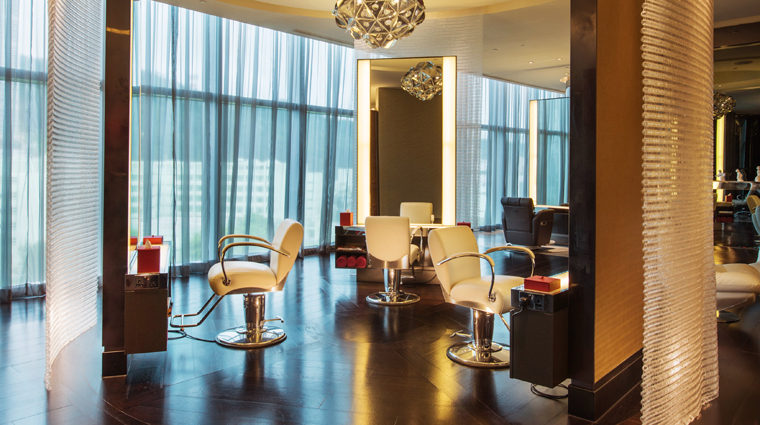 The spa also features a hair salon and nail bar, along with shaving and waxing services. 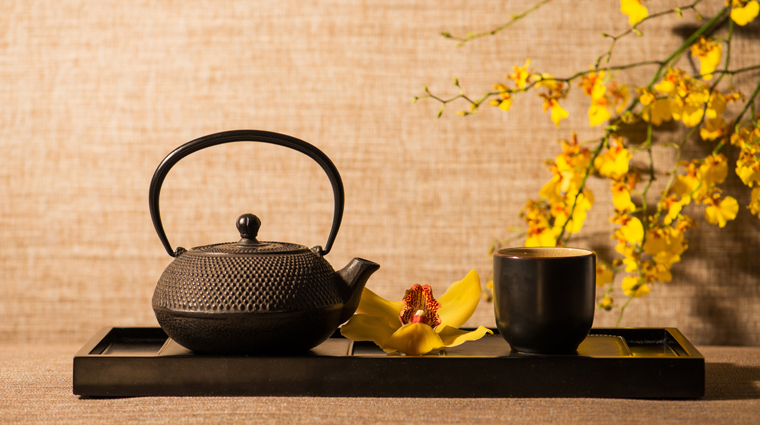 Located inside Nüwa Macau in the Vegas-style City of Dreams resort on Cotai, appointments at Nüwa Spa Macau are offered to both hotel guests and visitors. 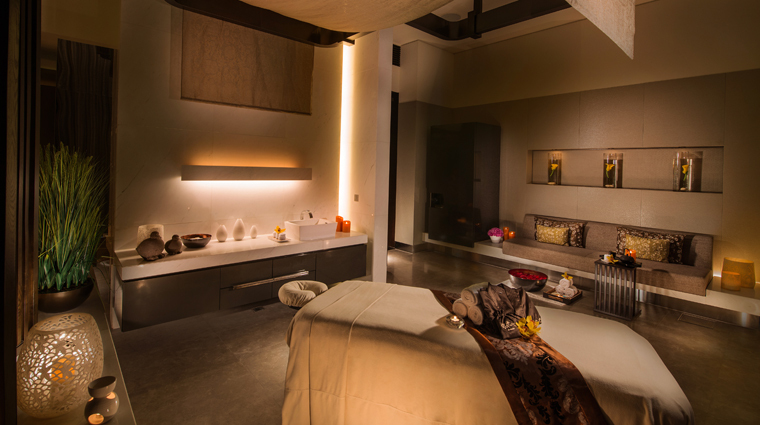 All you have to do to book a treatment at this Five-Star spa is call the spa concierge. You are encouraged to arrive at least 30 minutes before your treatment time so you can experience the hydrotherapy area. Check with the friendly staff when booking your service, as the cancelation policy varies by appointment. Typically, if you’re going to cancel, you must notify it at least three hours before your scheduled treatment. One of the most popular signature treatments on the menu at the Macau spa, the Shell Massage is a bit different from the usual hot stone massage. Here lava shells are heated and stroked along the body using gentle Swedish and Hawaii’s lomi lomi techniques, after which it’s impossible not to be incredibly relaxed. Another widely held service is the Caviar Deluxe Facial. This sophisticated anti-aging facial uses Pevonia Botanica skincare products to reduce wrinkles, firm up the complexion and leave you with a healthy glow. MDT 5 (Molecular Dispersion Technology) facials incorporate high-tech skincare products packed with protein and vitamins A, B3, B5, C and E, and the MDT 5 facial for women includes two transforming masks. The Wellness Retreat is a package of treatments that includes time at the pool and in the gym before a therapeutic deep tissue massage, express facial and foot massage. There are three different kinds of wrap within the body treatment menu. The Nourishing Organic Wrap is particularly popular here in Asia; it’s a skin brightening treatment that delivers antioxidants to the skin, nourishing as it works. 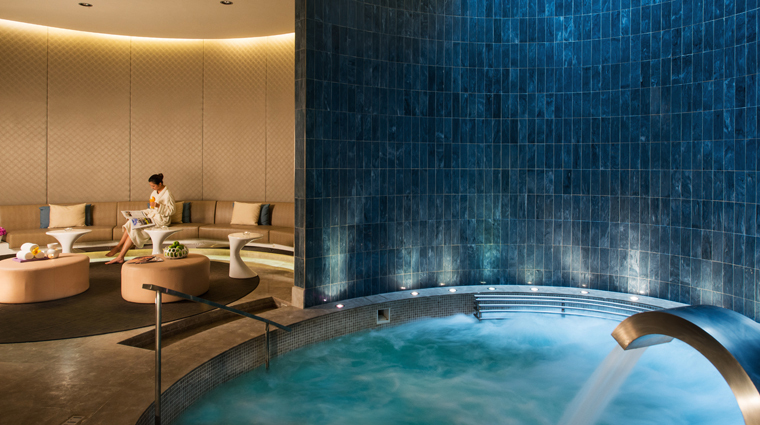 The hydrotherapy area, which includes a sauna, steam room, vitality pool with Jacuzzi and jets, and warm lounge beds is the perfect spot to unwind before or after your treatment. A good place to sweat it out — besides the saunas and steam rooms – is the state-of-the-art fitness center. A heated outdoor pool with manicured gardens, indoor vitality pools and refreshment bars complete the experience.